Step 2: Melt butter in a large saucepan over medium-low heat. Stir in leeks; cook, stirring occasionally, for about 10 minutes, or until soft. Season with salt and pepper. Reduce heat to low. Stir in cream and cheese, and warm through. Pour mixture into pie shell. Step 3: Bake in preheated oven for 30 minutes, or until custard is set and golden on top. Allow to sit for 10 minutes before cutting pie into wedges. 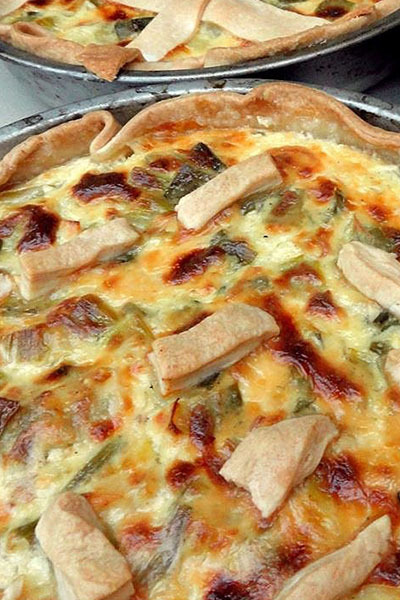 Enjoy this easy leek pie from AllRecipes!